When two engineers meet, they create a mystery. When two nations meet, they create a treaty. When two worlds meet, they create a galaxy. When two musicians meet, they create a history! Music is a medium that connects people and that understands people. But the musicians still are in need of a medium to connect with other musicians and artists. Here lies a great opportunity for all such young talents. Dive in and get a chance to meet similar talents and compose some music together. Because after all you never know who u might need until you meet! This meetup is arranged for all such young talents who are looking forward to expanding their talent and making it into something big…something worth the ears of the nation! 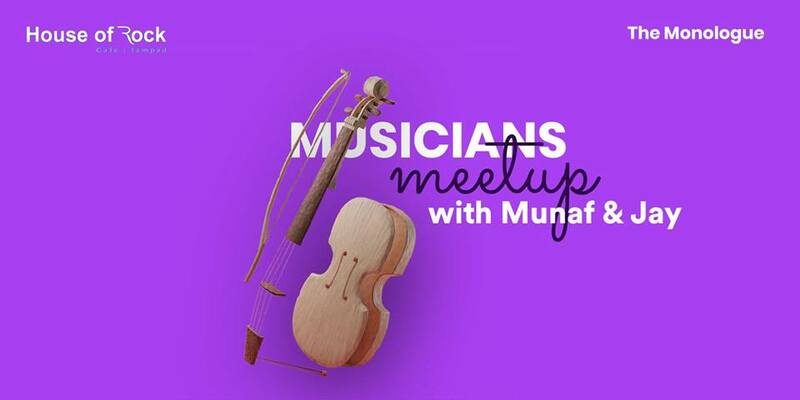 Munaf Luhar is a lead vocalist and a guitarist with a polished art of performing in the genres of Sufi, Rock, and Pop. Being into music for the past eight years, he is on the spree of becoming the next big thing. He is the key performer in the corporate shows of various brand outlets across India including AUDI, as well as composed various jingles for advertisements and songs for movies such as Have thashe Baap Re. Jay Soni is a music programmer, guitar trainer, bassist and drummer. He is a part of the interface band and been associated with music since the past 12 years. He has been into metal and rock and has worked with Munaf Luhar for a few compositions. So all the musicians of Ahmedabad we are waiting for you at House of Rock Jampad..! !